I reviewed this one for My Friend Amy's Frederick Buechner Week. A big thanks to her for organizing and having a copy of this one sent to me for review. Buechner is honestly an author I'm not at all familiar with outside of this book, which is odd because I feel like I have a pretty good knowledge of Christian authors (majoring in English at a Christian college will do that to you). I was glad to have the opportunity to give this one a try, though, and I certainly enjoyed it. It's a memoir focusing on several losses the author has experienced throughout his life and the lessons he's learned relating to those losses. He talks about his grandmother, his lifelong best friend, his mother, and his father and describes how losing each of these people affected him. 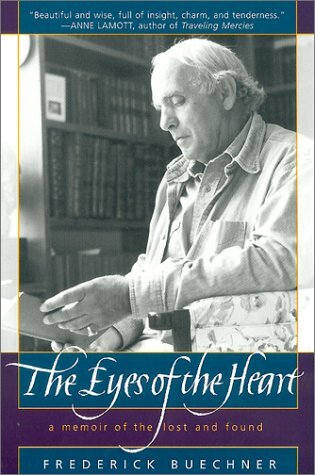 We are told these stories through a tour of what Buechner calls his Magic Kingdom - his office and library. I have to admit that the descriptions of his book inspired quite a bit of envy. He has an amazing collection and describes it as only a true book lover could. While I consider myself to be a bit more conservative in my theology, I appreciated so many aspects of the book. Buechner reminded me a lot of an older Donald Miller or Anne Lamott. I particularly enjoyed what he had to say about the difficulties in writing fiction about the life of Christ - although I'm disappointed that he gave up on his Mary Magdalene story. I'll definitely be reading more of this author - especially his fiction. 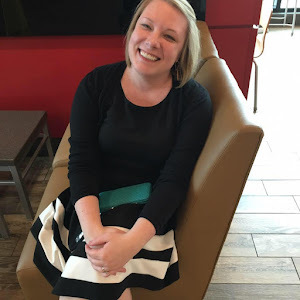 Thank you again Amy, and be sure to check her site to see links to her reviews, guest posts, and other Buechner Week goodies! I really enjoyed this one, too. I read his novel Godric last year, but didn't like it - definitely want to read more of his non-fic, though.